Teaching children how to sew provides valuable life skills, fosters creativity and boosts self-esteem. And sewing a pillowcase for charity teaches children compassion and empathy. 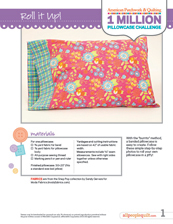 A pillowcase is a great first project for children of all ages. 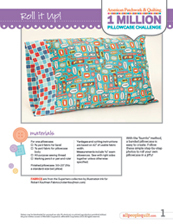 The One Million Pillowcase challenge is perfect for groups such as 4-H, Girl and Boy Scouts, homeschoolers and more! 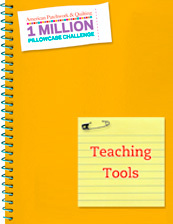 Get started by downloading our teaching tools and our free patterns below. 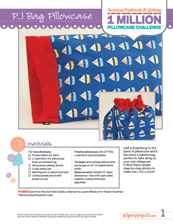 We have created two great pillowcase patterns specifically geared towards teaching children to sew. The first pattern is our roll it up pillowcase pattern. Kids will love the “magic” that happens when they turn the tube right side out. The second pattern is a drawstring pillowcase that doubles as a bag.